The Lord is risen. Alleluia. Thank you to all who sent us Easter greetings and have prayed for us. With loving greetings from all the Sisters and prayers for you. 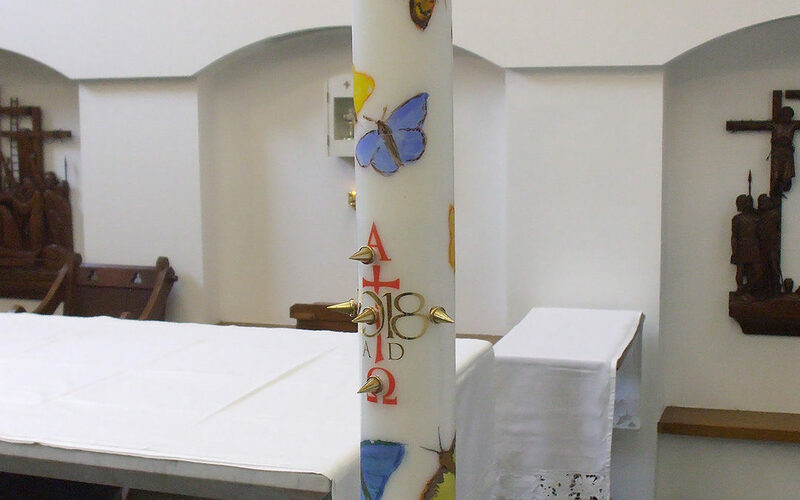 The photo shows our Paschal Candle painted by Sr Phoebe. 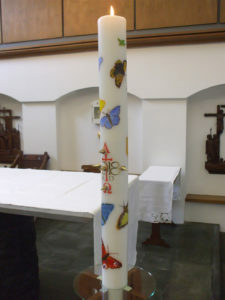 The butterflies are a symbol of the Resurrection.